The personal history of Oakland’s Democratic mayor — a former trade-union official and student activist at UC Berkeley — makes for amusing reading, though it’s not at all surprising or unique. 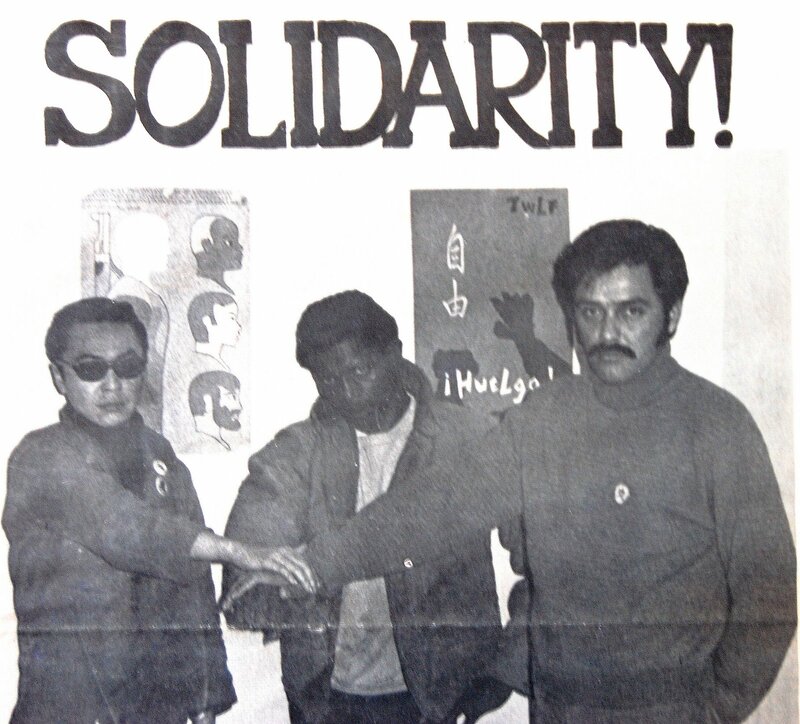 In the 1960s and the 1970s Jean Quan and her future husband, Floyd Yuen, were prominent members of the Asian American Political Alliance (AAPA), formed by the Black Panther Richard Aoki. As part of the Third World Liberation Front (TWLF), this organization used a campus strike to demand the creation of ‘Third World Colleges’. These latter would not just revise the existing curriculum and instruction of traditional ‘area studies’, but also give ‘each particular ethnic organization’ control over admissions and hiring patterns of departmental staff and faculty. We Asian-Americans believe that heretofore we have been relating to white standards of acceptability, and affirm the right of self-definition and self-determination. We Asian-Americans support all non-white liberation movements and believe that all minorities in order to be truly liberated must have complete control over the political, economic and social institutions within their respective communities. Yuen described their purpose as ‘fighting racism, reasserting their race and working for self-identity’. One spark for the campus movement (which also took in San Francisco State University from 1968) was that the ethnic makeup of college faculty, administrators and students did not reflect the Bay Area’s demographic composition. But the AAPA and TWLF were also animated by the plight of field and harvest workers, many of them Filipino Americans, producing grapes, strawberries, cotton and lettuce on California’s Central Coast. As a sophomore Quan reportedly risked losing her scholarship at Berkeley for promoting a cafeteria boycott in support of the Delano grape strike. The AAPA also opposed the threatened eviction of poor immigrant tenants at San Francisco’s International Hotel in Manilatown. In 1968 the elderly residents, most of them retired farm workers, were told to make way for a parking lot, part of a wave of downtown redevelopment (e.g. construction of the TransAmerica Pyramid) which also removed low-cost housing in adjacent Chinatown, next to the financial district. In response to these events, student activists in the AAPA and TWLF demanded a more ‘relevant’ education from Third World colleges focused on ‘contemporary problems of urban and rural living of Third World peoples’. [Its] primary goals are to produce students having knowledge, expertise, understanding, commitment and desire to identify and present solutions to problems in their respective communities. Thus the mission of the Third World College is to focus on contemporary living and produce scholars to address the problems that accompany it. Given the nature of the issues described above (working conditions for migrant labourers employed in ‘factories in the field’; encroachment by real-estate and financial interests into affordable housing and public space), scholarly examination of ‘problems of contemporary living’ might have been expected to involve serious attention to political economy. For example, around this time at Berkeley’s economics department, Michael Reich was exploring how capitalist property relations were buttressed by racism. Reich’s work on segmented labour markets — the latter underpinned by differences of race, gender, age, educational attainment and skill — revealed asymmetric barriers to switching between particular jobs, industries and sectors. These barriers to entry and exit allowed some workers (‘insiders’) relatively higher bargaining power (e.g. guilds required professional accreditation and created artificial skill shortages and lower turnover) and others (‘outsiders’, e.g. those engaged in manual work in the garment industry, food production, cleaning or caregiving) relatively less bargaining power with respect to employers. African Americans, women and Latinos were disproportionately found in the least-skilled and worst-paid sections of the workforce, performing low-wage, high-turnover, messy and unsafe jobs, separated from ‘good’ jobs (high-salary, long-tenure, low-risk, etc.) by lateral mobility barriers. Reich showed how this segmentation (along with technical conditions) would subsequently produce a persistent dispersion of wage and salary rates, varying degrees of employee control over their own labour process (routines, effort, intensity) and working conditions, and markedly different conditions of life (from opportunities and tastes to geographic location). This social stratification of workers, in turn, narrowed the basis for collective identification, such that both the relatively privileged and the extremely oppressed could begin to see themselves as members of separate groups (e.g. ‘whites’, men, ‘Americans’), with the partition inherited from birth, rather than sharing the same universal interest as members of the non-propertied classes. As the political exclusivity of each group was maintained their aggregate bargaining power was diminished. In other words, all propertyless people were shown to share a common interest in overcoming racism and other divisions. This kind of teaching, conducted right before their noses, was supremely relevant to the avowed concerns of the TWLF. 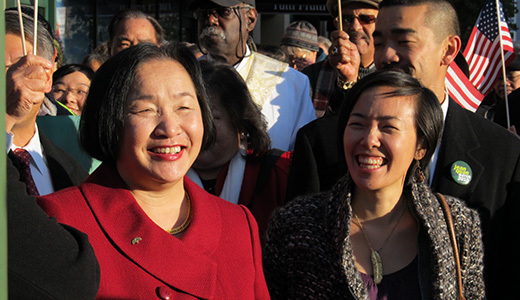 According to Estella Habal – a participant in the activism and now a professor of Asian American Studies at San Jose State University, alongside other movement veterans like Merle Woo – a more ‘relevant’ education was one in which they would ‘learn the true history of their ancestors’ and ‘Find our roots’. The AAPA insisted that only study of their Volksgeschichte, the ‘Yellow Experience’, would teach students ‘about the “yellow-white” relationship at its social and psychological roots and manifestations.’ Thus Berkeley should create a Department of Asian Studies along with a Department of Black Studies and Department of Chicano Studies. The protests did eventually lead to the formation of Berkeley’s Ethnic Studies Department, and of equivalent schools at universities around the US. This taste for the obscurantism of postcolonial theory, as well as for (at best) Third-Worldist variants of economic theory (in which class struggle was replaced with a struggle between nations), suggested deliberate avoidance of the ‘problems of contemporary living’, rather than a deep preoccupation with them. During the 1980s, meanwhile, Quan became a paid official with the Service Employees International Union, a full-time ‘business agent’ in charge of handling contract negotiations and grievances. She later joined the Oakland school board and was appointed by President Clinton to a federal committee overseeing the Improving America’s Schools Act, the first statute to provide federal funds for the establishment and promotion of charter schools. She chaired the Council of Urban Boards of Education. She was the first woman and the first Asian American in several of these positions, a fact much advertised by supporters when she launched a career in municipal electoral politics. The Democrats find it necessary to emphasize the personal characteristics of such candidates in order to maintain the party’s ‘progressive’ sheen among self-identified liberal voters, to keep up the supply of letterboxing foot soldiers and union dues for their electoral campaigns, and above all to prevent the emergence of social unity between wage- and salary-earners outside the grip of the party and union machine. Since the 1970s the remoteness of union and party bureaucrats from the interests of working people and their social allies has become increasingly clearer. With the re-entry of China and other large countries to the world market, and the removal of cross-border capital controls during the 1980s, globally labour has become relatively plentiful and capital relatively scarce, increasing the latter’s bargaining power (with managers and owners threatening to close local plants and move production offshore). Trade-union leaders in the US have played a part in consolidating this new balance of forces. They have agreed to sacrifice wages and conditions in return for retaining their own status and privileges, and in demogogic fashion have attributed to foreign workers the four-decade-long failure of US capitalism to improve their material living standards of those outside the top income decile. (The AFL-CIO opposed China’s entry to the World Trade Organization, and has consistently promoted xenophobia and nationalism among its members, while relentlessly urging support for the congressional and presidential campaigns of the Democrats, the party of NAFTA). In such circumstances, it has been necessary to link Democrat candidates to some ‘identity’ project, based around a particularist pursuit of concessions, favours and privileges for this or that gender, ethnicity, etc. The prospect of ascending to membership of a newly-diverse ruling elite (by securing a position in public administration or entering the class of propertyholders), or of joining the professional or managerial middle stratum, is dangled alluringly before the ‘talented tenth’ of various minority groups. This is enough to secure their allegiance. To the rest it is advertised that social advancement for the lucky few will redound to the benefit of the group as a whole; leaders who share their demographic characteristics will, once in power, be sympathetic to the plight of their fellows and faithfully overturn entrenched inequality and structural oppression, rather than pursue elite objectives or personal enrichment. This tends to disrupt solidarity within the working population and to encourage allegiances across class lines. It prompts people to align with their ‘race’ or nation as the primary object of collective identification, and confuses them about who benefits from racism. During the twentieth century, the workers’ movement learnt (or at least was taught) to beware political alliances with union bureaucrats and party officials, for they led to the betrayals of Stalinist repression and social-democratic reformism. But today it is the promoters and practitioners of identity politics and nationalism who constitute the chief obstacle. They trade in a narrow particularism that seeks to win privileges for oppressed groups, and aims to uphold the political exclusivity of the latter, i.e. they work to reinforce rather than abolish those categories that give rise to oppression, exploitation, victimization and exclusion. As I’ve described elsewhere, and as the work of Reich on segmented labour markets shows, this division of the working population, to impede the forming of coalitions, is a ruling-class bargaining strategy. In repressing Occupy Oakland, therefore, Jean Quan was not ‘betraying her past‘, as some have claimed. Insofar as the AAPA and TWLF promoted nationalist solutions to social problems, and argued for the separate sectional interests and political agenda of ‘Third World’ people, its members were then, as Quan and the Democrats are today, the enemies of a broad political mobilization by the working population and its dependants in support of universal popular interests: obstacles in the way of a common set of aims and values across sectional boundaries. You are currently browsing the Churls Gone Wild blog archives for November, 2011.